Instruction to applicants: Please complete the following items (as applicable). If you are unsure on a specific item or should you have any questions, please contact a member of our Staff at (270) 887- 4285. Note: Exterior Lighting is required if more than 10 parking spaces are provided. Note: If Trash Disposal involves the use of a Trash Dumpster, containment facilities shall employ the use of Reinforced Concrete. 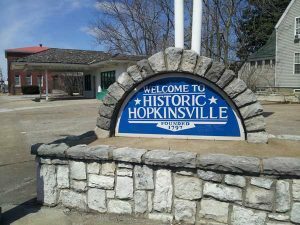 Note: Placement/Installation of any new sign requires a City of Hopkinsville Sign Permit. 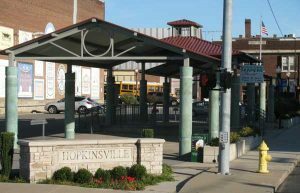 Note: The dedication of streets for Public Maintenance is governed by the Public Improvement Specifications and Subdivision Regulations of the City of Hopkinsville Kentucky. Street Construction Drawings and appropriate platting exhibits must be submitted and approved prior to the construction of any roadway intended for Public Dedication. Note: All flood plains, sink holes, drainage easements, natural drainage ways, basin areas, etc. must be denoted on the site plan. Note: If you are unsure as to the applicability of Storm Water Management for the proposed development, or should you have any questions regarding the Storm Water Management Review process, please contact this office. In consideration for the issuance of the requested permit, I hereby agree and covenant, with the City of Hopkinsville, the Hopkinsville-Christian County Planning Commission, that I will observe and conform with all applicable codes, zoning ordinances, and all other applicable codes, laws, restrictions and ordinances, and I hereby assume all risk incidental to any error or any violations or interpretations thereof. The Property Owner and Contractor hereby releases the City of Hopkinsville, the Hopkinsville- Christian County Planning Commission and their employees from all liability of every kind and nature for damages which may occur from defective wiring or construction of or on said premises and hereby agree to hold harmless the City of Hopkinsville, the Hopkinsville-Christian County Planning Commission and their employees from any kind and all such liabilities. I hereby certify that I understand the contents of the above paragraphs and that information used to complete this application is true and correct to my best knowledge and belief. I am the owner of record of the named property, or that the proposed work is authorized by the owner of record and that I have been authorized by the said owner to make this application as his authorized agent.